Adafruit develops nice wearable devices. Flora is one of their popular Arduino wearable modules. 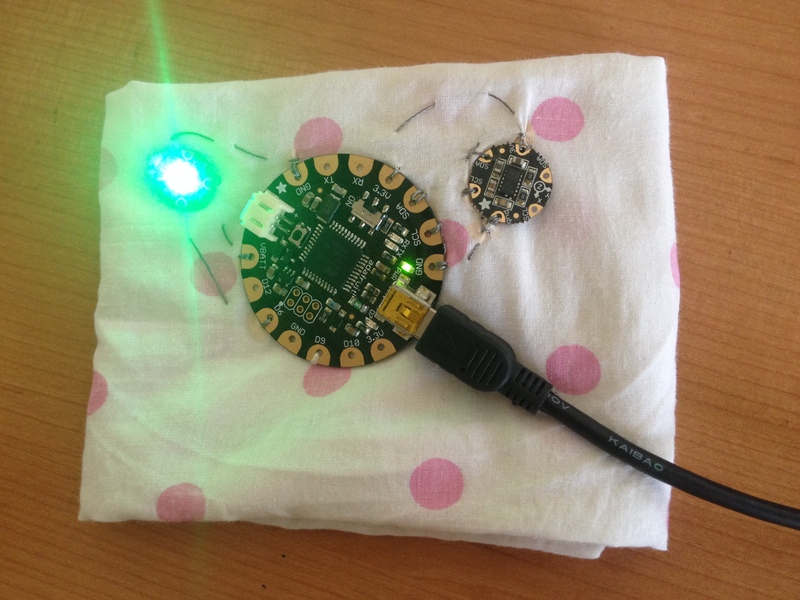 I stitched together the Flora module, Accelerometer/Compass and NeoPixel on a small handkerchief using the special conductive thread. Then I connected the Flora module via USB to my iMac. Using the Arduino IDE, I uploaded a small program to make the NeoPixel to display a specific colour depending on the accelerometer coordinates. There are many programming examples at Adafruit site for interfacing with their wearable modules, so the programming part was quite easy. Stitching was the hard part!